If you’ve been in Dubai any longer than a week or so, you’ll have heard of Traiteur Brunch. Known as one of the city’s biggest – and most lavish – feasts, it takes place each Friday at the waterfront of Dubai’s Creek’s Park Hyatt hotel. The restaurant formerly known as Traiteur has been renamed as Brasserie Du Park, while The Terrace is now called NOEPE, and both serve as the location for Traiteur Brunch. 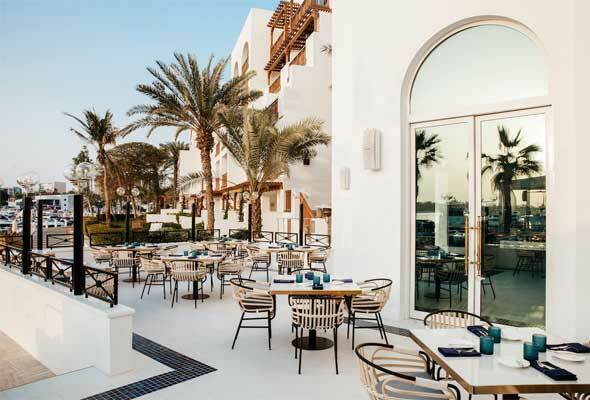 Food and beverage stations are found within both, and guests can choose an alfresco seat on the terrace overlooking the twinkling waters of the Dubai Creek, or in the lofty, contemporary brasserie-style space of the Brasserie Du Park restaurant. Drinks are brought to the table in a timely fashion, and it’s a premium offering for all packages. As standard, sparkling wine, margaritas, aperol spritz and daquiris are all included, alongside the usual offerings of wine, beer and spirits. Food-wise, there’s truly something for everyone, and it’s hard to explain the extent of the spread unless you’ve seen it. Inside NOEPE, you’ll find fresh seafood served on ice, with tiered towers of fresh oysters, crabs legs, lobster, mussels, clams and scallops topped up frequently by the culinary team. Once you’ve got your seafood fix, head inside to the main restaurant, where the open plan kitchen welcomes guests to wander their way through international dishes. A dedicated section of cold cuts and pates leads its way into a cheese room, where cheeses from around the world are cut and carved for the guests that make their way through the buffet. A fresh salad bar lines the furthest wall on the other side, while the middle section is dedicated to live cooking stations of shellfish and meat cooked to order, while dishes around each station of fresh vegetables, pasta and pizza are readily available to compliment each cut. You’ll want to save room for dessert. 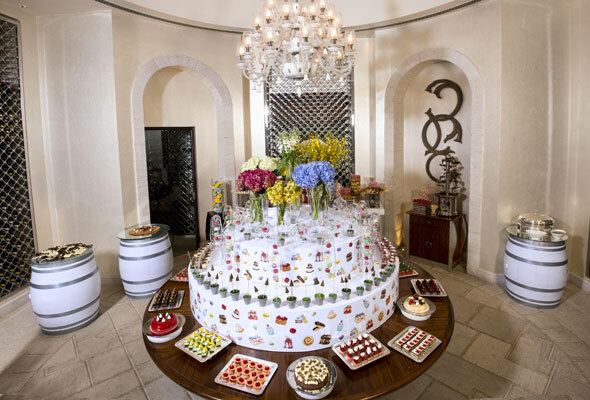 Fondly nicknamed ‘The Willy Wonka Room’, the dessert room is filled with fresh pastries, cakes, mousses and warm puddings that would impress even those without a sweet tooth. 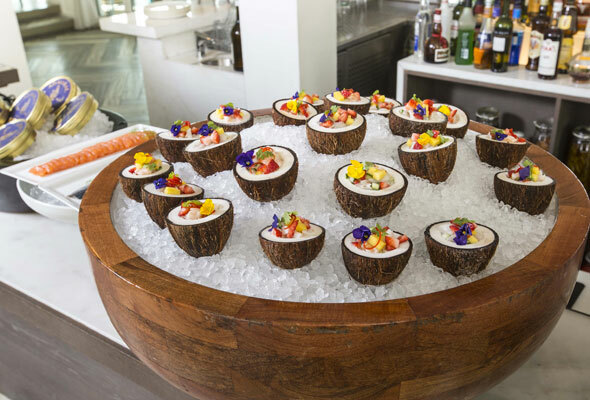 While Traiteur is expensive – the standard alcohol package is Dhs695, a flawless food offering, stunning setting and near faultless service make it a must-try brunch for a special occasion. Baby Shark and A Star Is Born soundtrack added to Dubai Fountain show Have you noticed the awesome art displays on the E11 road to Abu Dhabi?